People seek out our office for life enhancing changes. The driving force may be somewhat different in each case but the desired outcome is the same; to be able to enjoy life to its fullest. Here are the portals of entry people take to arrive here for a life changing experience. Musculo-skeletal dysfunction: this is the neck pain and back pain person. They have heard Chiropractic can help them. They soon find out that the pain is usually a result of meridians or organs not functioning properly causing abnormal muscle weakness that inhibits the body from staying together. Visceral and Glandular disorders: this is the person that realizes that their body is not working properly; perhaps they have digestive upset, low energy, menstrual difficulties, asthma and allergies, and many other conditions. Social and Emotional issues: they are having difficulty in day to day life coping, feeling overwhelmed and many times at the end of their rope. Wellness and Prevention: these people are doing well, however, they feel they need a “Health Coach” to assist them in staying well. Normal Biological Events of Life: such as getting pregnant and having a healthy pregnancy, moving into puberty to adulthood, the change of life and finally the end stage of life. How can the service I render do all this you ask? This is a 4 stage process. Chiropractic: as a Chiropractor I am trained in the treatment of the spine to affect the nervous system. Every tissue cell has nerve flow and if that nerve flow is out of balance then the cell and eventually the organ can become sick with mutated cells. Bio Chemical Support: using whole nutritional supplements to feed the body for healthy reproduction of cells. Purification/weight loss support to energetically detoxify the body. 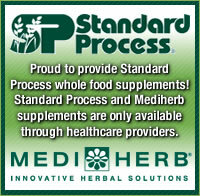 Herbs, which are natures’ medicine to stimulate the healing while nourishing with whole food supplements. Lifestyle Modification: your life style is what got you where you are today. It’s never too late or early to make life style changes, in fact the sooner the better. We will assist you making dietary changes for life; the best way to cure disease is to never get it. Understand this is a process, which takes time. “There is no finish line”. How far are you willing to go? 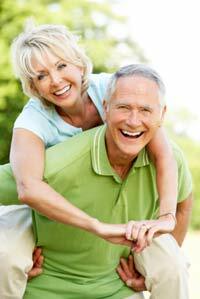 Contact our Tucson chiropractic office to schedule an appointment so we can help you and your family!